Our customer, an independent secondary school with an intake in the region of 150 pupils for each new year group had historically stored the leaver files for pupils (year 11) in archive boxes within the school, (compound) often in outbuildings. This was proving an issue in terms of retrieving and viewing files which in many cases showed evidence of rodent infestation. This made the staff reluctant to handle many of the files depending on where they were located. Every new student joining the school was allocated a file which accompanied their journey through the school. These contain critical information pertaining to the individual students’ academic records together with other materials including bursary and pastoral care. With the advent of a more open approach to access of student files, frequent requests were being received which at times stretched the administration staff of the school. After consultation Images-On-Line were asked to scan a backlog of some 10 years leaver records consisting of close to 2,000 student files. These were collected in a single consignment and scanned in batches (by leaving year) over several months. The school provided listings of each year’s leavers and these were used to assist with indexing the records. A list of any missing files for each of the year groups was returned back to the school for further investigation. As these files began to materialise they were sent for scanning. Once scanned the records are returned to the bursary where they are held on a central server, allowing instant access to all file requests. Moving forward and at the end of each academic year, year 11’s leaver files are sent to be scanned and are returned as digital copies in readiness for the new school year from September. Again a listing is provided to assist with the scanning process. 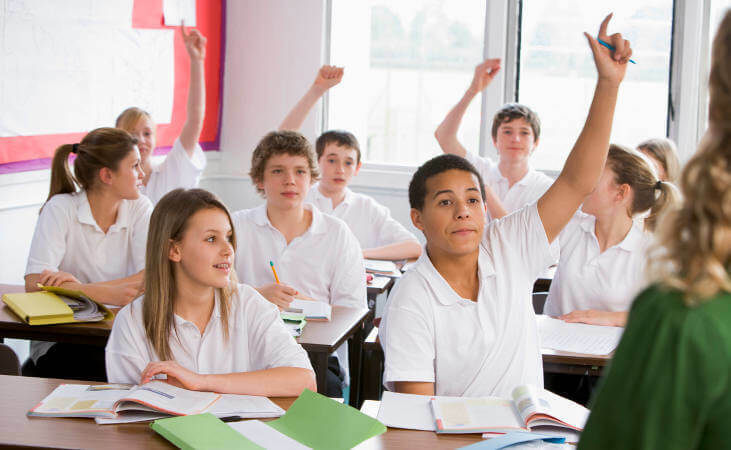 In addition to the obvious benefits associated with instant access to student files the school is able to pre-empt and locate any missing files whilst also having a robust disaster planning process in place for the storage and retrieval of student files. A similar process has also now been employed to capture staff leaver files which again has proved to be a great success. Please get in contact with us today by calling us on 01293 541942 or emailing info@imagesonline.co.uk – we will get back to you as soon as possible. Thank you for sending through the information you provided – a great service and approach. Contact us today to find out how we can cost-effectively re-structure and enhance your data and document archiving practices.